There is one product that I absolutely refuse to live without-Australian Tea tree oil. The healing properties of this oil in my personal skin care regimen are endless and necessary. What is Tea Tree Oil? Tea tree oil has become a popular natural ingredient in all kinds of shampoos, face soaps and ointments because of its amazing healing powers. This skin miracle comes from Australia, where over 300 species of tea trees naturally grow. 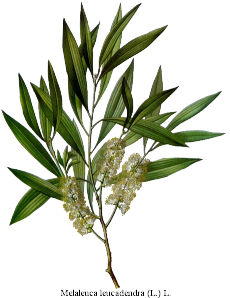 Aboriginal tribes in Australia have known of the tea tree's healing qualities for thousands of years. Australian aboriginals have known the secret to healthy glowing skin for centuries. They used tea tree oil to soothe skin and to heal cuts, and now you can use tea tree oil too! They boiled the leaves of the tea tree to make tea and antiseptic poultices that treated cuts, wounds, and skin infections. One legend even describes a magical lagoon where native people bathed to heal their burns, cuts, and skin disorders. Tea trees surrounded the pool, and the fallen leaves created a natural healing bath. Luckily we do not have to travel all the way to Australia! It is now easily available in the form of an essential oil and has many amazing benefits! As with any essential oil, please use properly and sparingly to avoid any irritations or overdoses-and if you are pregnant please be sure to consult your doctor before use! As a general disinfectant: Soak in a bath once a week with 10 drops for about 20 minutes. To spot treat acne: dab one drop directly on the blemish at bedtime or morning. It is highly concentrated and one drop is all that is needed. The anti fungal properties will cleanse and help to speed up healing time. To help a cold, cough , or congestion: add 2-3 drops to boiled water and create a steam remedy by placing your head over the bowl of water. Use a towel over your head to keep steam in. Do this for about 10 min. If symptoms persist for more than 5 days -consult your Dr.
For canker sores and tooth infections:add 3 drops in a cup of warm water and gargle twice a day. Be careful not to swallow this solution. It will not replace the dental care from your dentist but it will help to cleanse until you can see your Doctor. (Extra care should be exercised when Tea Tree Oil is taken internally. Overdosing on Tea Tree Oil can result in diarrhea, vomiting, impaired immune function, excessive drowsiness, sleepiness, confusion, poor coordination, and even coma. If you notice any of these symptoms of overdose, seek medical attention immediately. To rid hair of Lice or dandruff: You can add 10-15 drops to your daily shampoo or apply directly to hair. Putting it directly on the scalp is not necessary in treatment of lice, put a few drops on a fine tooth comb and work through the hair. Foot soak: Due to the anti-fungal properties this oil makes an excellent foot treatment. Add a few drop to olive oil or in a foot spa to relieve sore feet and fungal problems. These natural remedies are in no way intended to replace the care of your Doctor.